Once bitten twice shy! This goes for thousands of people who started investing in equity mutual funds at the peak of the market in late 2007 or early 2008. Within a year, as stock markets fell, their investments were reduced to half or even less. Wrong fund selection added to the woes. Timing the entry is crucial in equity markets. If you get it wrong, the situation can be salvaged by exiting at the right time. However, wrong fund selection, especially by those making their first mutual fund investment, can lead to losses that can put them off mutual funds forever. 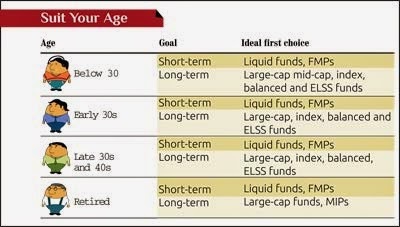 What should be your first mutual fund investment? The answer is different for different investors and depends on their age, financial goals, risk-taking capacity, etc. 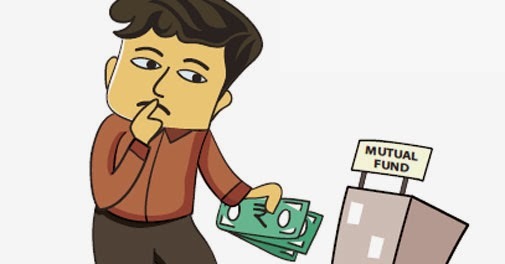 Let's discuss some fund categories which can be good options for first-time investors. These are hybrid funds which invest in both equity and debt. The equity and debt portions are diversified (in terms of sectors and companies) to avoid concentration of risk. Equity-oriented balanced funds have 65 per cent or more funds in equities. Debt provides cushion from volatility in equity markets, which is crucial for first-time investors. "Balanced funds are a good starting point for most first-time investors because of the predefined equity-debt mix," says Vishal Dhawan, founder, Plan Ahead Wealth Advisors. Equity-oriented balanced funds are tax efficient as long-term (investment of one year or more) capital gains are not taxed. However, short-term capital gains are taxed at 15 per cent. Dividends from equity funds are also tax-free. Long-term capital gains from debt-oriented funds are taxed at 10 per cent without indexation and 20 per cent with indexation. Indexation is adjusting the purchase price with inflation. Short-term capital gains are taxed according to the investor's tax bracket. A diversified portfolio of top 50-100 companies in terms of market capitalisation makes them safer for first-time investors. Large-cap schemes usually invest 80 per cent or more funds in large companies. This gives stability as stocks of large companies are usually less volatile than that of mid- and small-cap companies. The upside potential of these funds is lower too. High volatility, like in mid- and small-cap stocks, may put off a first timer from equity investments forever. Tax-free long-term capital gains and a diversified portfolio are other positives. The portfolio of these funds replicates an index. These funds hold stocks in the same proportion as their weight in the index. These funds are passively managed, which means fund managers do not take any call to increase or decrease holdings. So, there is no fund manager risk. Most index funds track either the Nifty or the Sensex and hence by default are large-cap, diversified funds. "Large-cap or index funds are good options given their inherent lower volatility," says Anil Rego, CEO and founder, Right Horizons, a financial planner. Also known as equity-linked saving schemes (ELSS) , these are the favourites of most retail investors. The reason is that the investment is eligible for tax deduction under Section 80C of the Income Tax Act. These are diversified equity funds with a three-year lock-in and are the first choice of many first-time mutual fund investors. "The lock-in imparts discipline to first-time investors," says Sanjay Sinha, founder and CEO, Citrus Advisor. Due to the lock-in period, these funds have higher mid- and small-cap exposure, making them more volatile. Dhawan of Plan Ahead Wealth says large-cap oriented ELSS funds are a good option for first-time investors. However, not all financial planners consider them ideal for the first-timers. "More often than not, these funds are chosen to just save tax. Given the three-year lock-in, any non-performance by the scheme can badly hurt first-time investors, who may develop a negative bias for the entire product category," says Anil Rego of Right Horizons. MIPs can be a good option for someone looking to park a part of his/her retirement corpus. MIPs are hybrid schemes with 80-85 per cent funds in debt and 15-20 per cent in equity. Equity helps generate returns higher than what a bank FD gives, but makes the portfolio risky. These funds offer regular dividends-monthly, quarterly, half-yearly-and hence can be a source of regular income for the retired. The quantum and frequency of dividends may change subject to availability of funds. To avoid payment uncertainties, one can opt for the systematic withdrawal option where one can decide the frequency and quantum of payouts. MIPs are considered debt funds and hence both short- and long-term capital gains are taxed as mentioned earlier. The dividend given by debt funds is taxed at 12.5 per cent. For short-term goals such as creation of a contingency fund, liquid funds and fixed maturity plans can come in handy as these invest mostly in short-maturity, low-risk securities such as treasury bills, certificates of deposit and commercial papers. The choice of your first mutual fund scheme depends on your investment horizon, existing portfolio and financial goals. Therefore, take a call after assessing your needs.